Aishworya is home to nearly 50 children. Many have lost their parents. Others have been rescued from trafficking and child labour, or have parents who are simply unable to care for them. Where possible, we strive to reunite children with families and loved ones. We’ve reunited nearly 300 children so far. We also support the education of 12 children who still live with family. Their parents couldn’t afford schooling without our help. You can read about some of our children below. 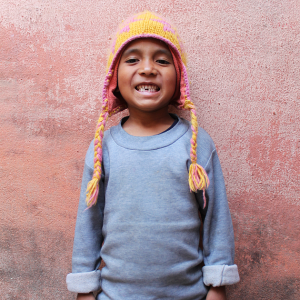 Sundar was orphaned by the devastating earthquake in April 2015. When he arrived at Aishworya his head was very badly injured. 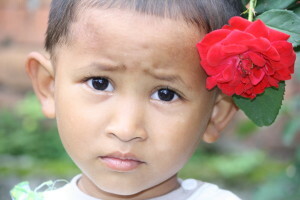 Thanks to the generosity of our Earthquake appeal donors, we were able to pay for the operation he needed on his ear. He had to stay in hospital for six days and was incredibly brave. Aishworya will now be his home. 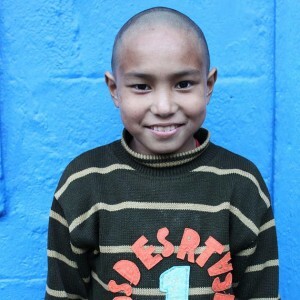 Dilip was very young when he was found wandering the streets and was brought to Aishworya. He is very creative with a cute smile, and is very good in school. He loves drawing, has great handwriting, and wants to become an artist one day. He needs regular medical treatment as he has suffered from chronic tuberculosis three times. 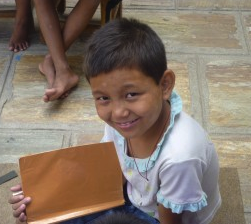 Bhagwati was resuced by the police from child trafficking when she was very young. 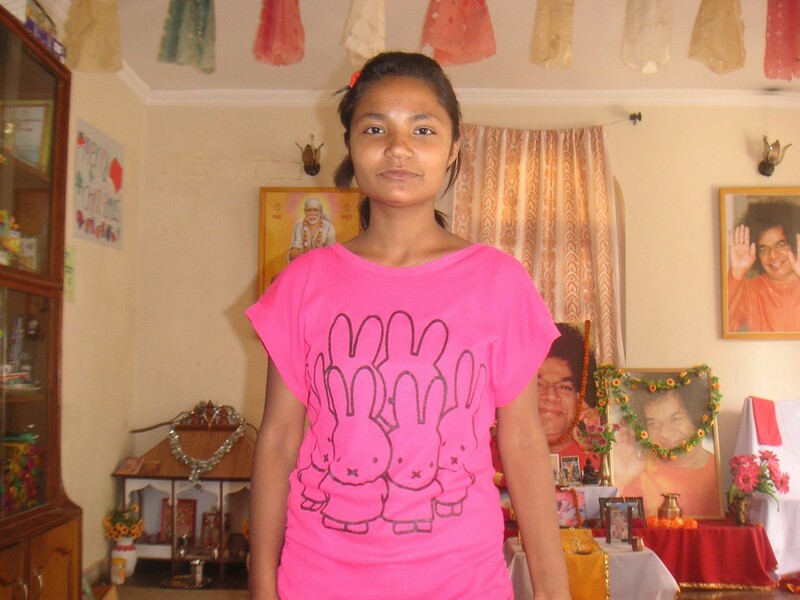 Bhagwati has always been good at maths and is now on a two-year physiotherapy course. It involves practical experience at a Centre where she’ll be able to work once she has completed her course. Durga was working as a child labourer carrying rocks from the riverside when the police found him and brought him to us. He has always been happy at Aishworya and is very smart. While Durga was still in school we found him a part-time apprenticeship with a local carpenter, which he really enjoyed. Once he left school however, Durga took an entrepreneurial route and set up his own wholesale fruit and vegetable shop, which he now runs and holds a 50% partnership. Sani was born in Dhading but was orphaned when she was only four. So Aishworya has been her home for many years. Sani’s very good in school, likes to play badminton, and wants to be a social worker when she’s older so she can help people in need. In 2007, Kali was found wandering the streets of Dolakha by a tourist guide. They asked about her in the local villages but no one knew who she was. With the help of the social welfare office she was brought Aishworya. She speaks very good English, loves singing and dancing, and wants to be a teacher when she grows up. Biraj and Asmita lost both of their parents in a major landslide in Humla. 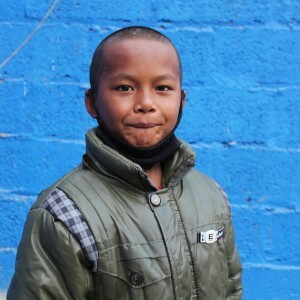 Biraj is very shy and quiet but loves to play ball and watch cartoons. One day he wants to join the army. 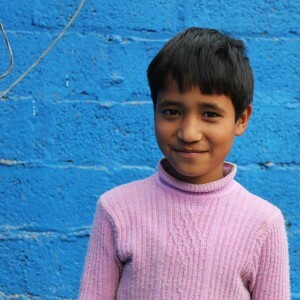 Asmita loves school and learning English, and dreams of being a teacher one day. Padam also lost his parents in a major landslide in Humla. 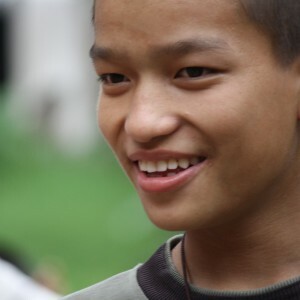 He is very good in school, loves to speak English and is always smiling. He wants to be a policeman when he’s older. 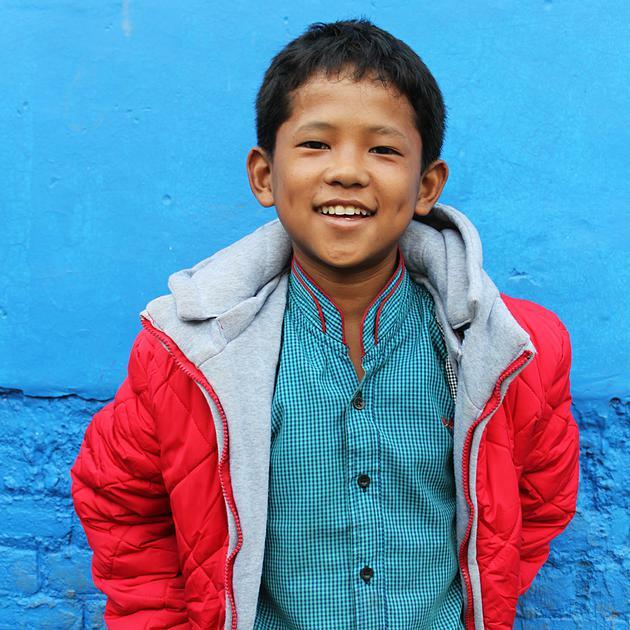 Dipesh grew up with his father in a very remote part of northern Nepal, where they had no access to school or medical care. When he was 7, a visiting social worker from child welfare arranged for him to come to Aishworya to be cared for, given access to an education and medical care. 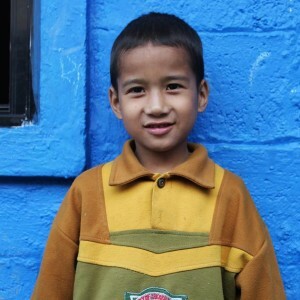 He now loves going to school, playing football and watching Nepali movies. He says when he’s older he wants to be a policeman and help old people. Roshan and Roshani came to stay at Aishworya when their father was no longer able to look after them. Roshan is very smart and speaks very good English. He likes to draw and wants to become a businessman some day and to travel to many places. Roshani is a very quiet girl but is very brave. She loves puzzles and wants to join the army one day. 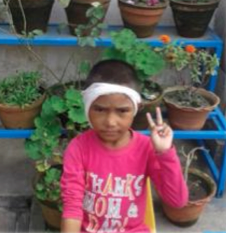 Unfortunately Roshan and Roshani were away visiting family when the Earthquake struck in April 2015. Pramila attended an official child welfare search of the area but was unable to find news of their whereabouts. We desperately await further news and prey they survived and will one day be able to return to Aishworya. Life had been very hard on Nima and Dolma when they first came to Aishworya. Their mother died of cancer when they were small, and their father had struggled with alcoholism since. When he couldn’t cope, we took them in, and they stayed with us for five years while their father went through counselling. During this time we also facilitated his carpentry training, which led to him opening his own furniture workshop. He is now in a position to look after the girls, who are happy to be living with their “buaa” (the Nepali word for father) once more. Dhanu’s (second from right) parents died when she was young and she was brought to Aishworya by a social worker. She has always been very helpful at home, particularly with looking after the younger children. Because of her love of children, Dhanu trained to become a kindergarten teacher and is now working at a local school that specialises in teaching children with learning difficulties. Jack and Andy were found wandering the streets in Kathmandu in 2005. We located a relative in their home town of Gorkha and found out their father was dead and their mother missing. Their relative was unable to look after them so they stayed at Aishworya. When Jack finished school we supported him in applying for a Nepali Citizenship Card and Passport which enabled him to work abroad. He now lives in Saudi Arabia where he’s working for a good security company and paying for Andy’s care, who now lives with their relative. Jack’s very happy to be standing on his own two feet and is of course still in regular contact with Aishworya – we’re all extremely proud of him! 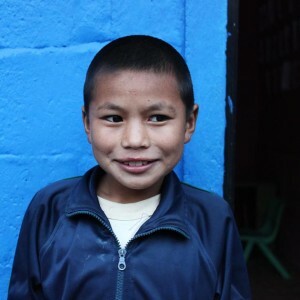 Choben is from Nuwakot, where the local police found him wandering the streets. Aishworya was able to trace his family but they are very poor and unable to look after him. He loves learning English and playing volleyball, and can’t wait to learn to drive when he’s older. 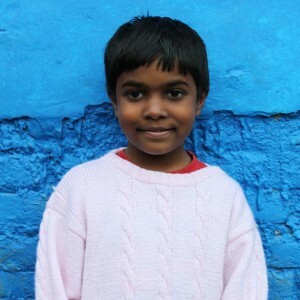 Anjana was brought to us by her mother. Her father had disappeared and her mother was struggling to pay rent, work and care for Anjana. Anjana stayed with us for three years and during that time Aishworya was able to help her mother get skilled in tailoring. She now has a good, stable job, and is able to take care of Anjana once again. Like many of the children who stay for a while and then find their way home, Anjana still keeps in touch. 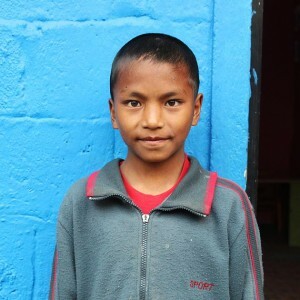 Kaman is a gentle boy from Rasuwa, and he had a very hard life before coming to Aishworya. He only started his education when he came to us but he is already very good at handwriting and likes learning English, science and drawing. He wants to help poor people when he grows up.